We know you'll love reading about this little pest. The picture itself screams for treatment YIKES! Don't worry, we can take care of them for you! But just in case your curious, we'll give you a little color as to why you might want to contact us to have your yard treated. Did you know that mosquitoes have mouthparts that are adapted for piercing the skin of plants and animals...yummy! Males typically feed on nectar and plant juices but females...you guessed it, they feed on humans, they need to obtain nutrients from a "blood meal" before they can produce eggs. If being a pain the neck "literally" wasn't enough, then get a load of this. When feeding on humans mosquitoes become vector agents that carry disease-causing viruses and parasites from person to person without actually catching the disease themselves. As a result, mosquitoes are vectors for a number of infectious diseases affecting millions of people per year. Us too! so we've prepared a little package to take care of the those pesky suckers. 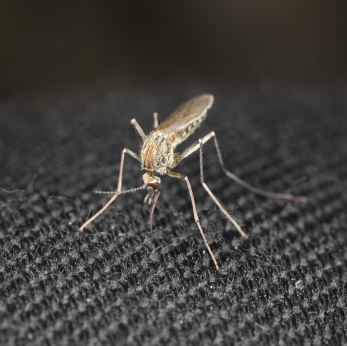 For our region (Charlotte and surrounding areas) We target mosquito treatments from May to October. We offer single treatments for $89.00 per application up to 1/3 acre. We will treat your entire property (lawn, trees & shrubs). We also offer at a discount the full season treatment in which we will treat your property (up to 1/3 acre) 6 times from May to October. This treatment also includes two Japanese Beetle applications as well. You only have to ask us once, we'll be there every month to make sure you can enjoy your luxury outdoor living absent of pests. Our charge for the seasonal mosquito & beetle application is $427. That's only 62% of the per application cost for all 8 treatments, a 38% discount! Do you have a larger yard? or want to combine services for another discount? contact us by phone or email we'll be sure to take care of you.